It is our goal to raise quality horses with backgrounds that go back to the Legends of horses that have already proven themselves. We breed for color, conformation and performance! We also have select trail horses. 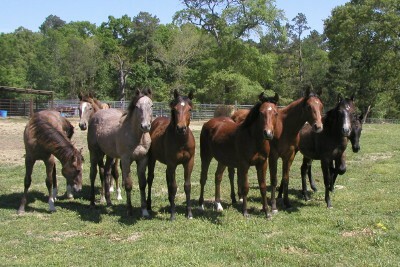 Our foals are among the best we have to offer! Bred for quality, we invite you to check out our Sale Barn and see what we have to offer. Better yet, come on by the ranch and see for yourself! We also offer HORSE BOARDING here at the ranch starting at $125.00 per month and up. check out the boarding page. We also offer HORSEBACK RIDING LESSONS, your horse or ours here at the ranch. Adult and youth lessons available. Need help getting your horse ready for riding season? We can do an evaluation on your horse and see what he needs to get ready before you get on and ride. We have Gift certificates available for riding lessons. GREAT for Christmas, Birthdays or any occasion. Give us a call we will be glad to hear from you! !